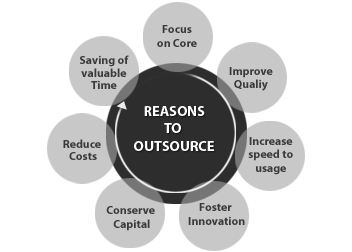 Globosoft is a place which can look after your all outsourcing needs whether its a Customer Relationship Management (CRM), Back Office Operations, Revenue Accounting, Data Entry, Data Conversion , Finance & Accounting, HR Services, Transcription, Translation Services, Content Development, Animation, Remote Education, Data Search, Market Research, Network Management and Consultancy Services. Pakistan is well positioned to derive benefits from the ITES market and become a key hub for these services. The country’s strengths in the form of low staff costs, a large pool of skilled, English speaking workforce, conducive policy environment and Government support has made Pakistan a popular choice for customers seeking outsourced services. We have experienced people endowed with speed and accuracy required to deliver these services. Be it simple data entry in the given forms or software or analysis & calculation of given data and subsequent entry or conversion of .jpg, .tiff etc. files to .doc or .pdf – we can do it all. Customers calling to check on their order status, customers calling to check for information on products and services, customers calling to verify their account status, customers calling to check their reservation status etc. Our technical support offerings include round-the-clock technical support and problem resolution for customers and (computer hardware, software, peripherals and Internet infrastructure manufacturing) companies. These include installation and product support, up & running support, troubleshooting and Usage support. Customers calling to resolve a problem with their home PC, customers calling to understand how to dial up to their ISP, customers calling with a problem with their software or hardware. Our telesales and telemarketing outsourcing services target interaction with potential customers for ‘prospecting’ like either for generating interest in products and services, or to up-sell / promote and cross sell to an existing customer base or to complete the sales process online. Outbound calling to sell wireless services for a telecom provider, outbound calling to retail households to sell leisure holidays, outbound calling to existing customers to sell a new rate card for a mobile service provider or outbound calling to sell credit or debit cards etc.